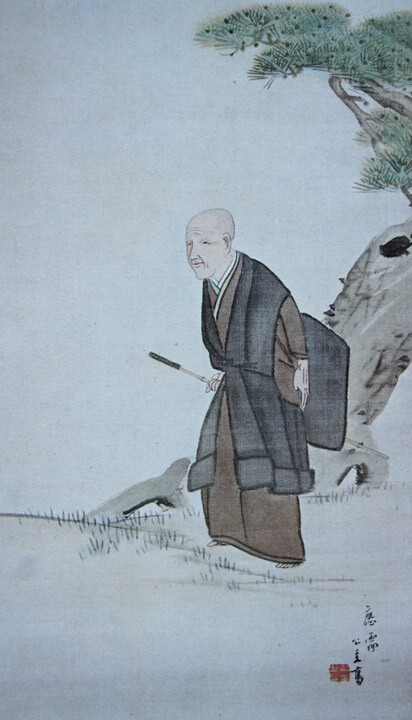 Portrait of Rengetsu at age eighty-one. Rengetsu loved to travel and she was often on the move visiting many of the famous sites in the Kyoto, Osaka, and Lake Biwa areas, going as far afield as Mt. Fuji. The artist is Ueda Kokei, son of the famous painter Ueda Kocho, and a member of Rengetsu’s circle of friends.